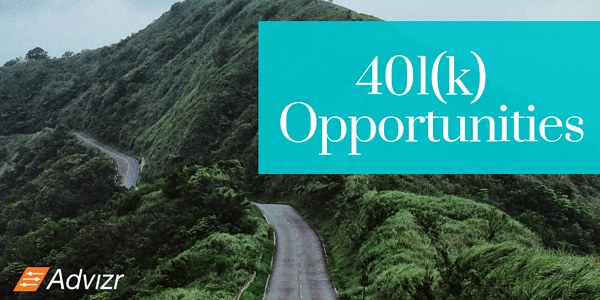 For financial advisors who are looking to expand their advisory practice and break into the 401(k) market—as well as potentially integrate 401(k) plans into workplace wellness programs—the current moment reflects growing opportunity. A 2015 study by the Investment Company Institute estimated that 54 million American workers are hosted by 550,000 401(k) plans. 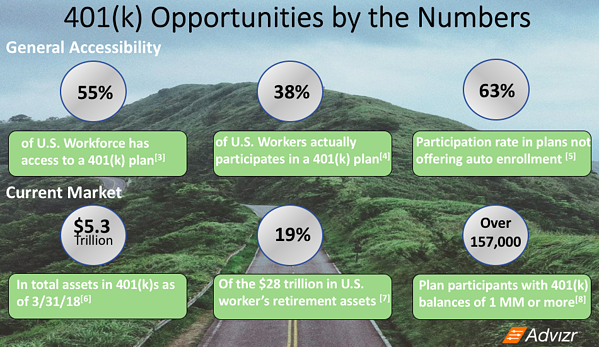 Add to this, a 2017 Fidelity Investment Survey that reports 38% of plan sponsors were looking to switch to or hire new advisors, and a clear opportunity starts to present itself. For the wellness-minded employer, increasing plan participation and addressing employee wellbeing are priorities that go hand-in-hand. Here are just a few key points for advisors when considering tapping into this market. As an advisor, beyond being properly licensed—and before you begin to define and develop your retirement offering—you need to make sure you have a foundational (and functional) working knowledge of the 1974 Employment Retirement Income Security Act. Learning ERISA’s nuts-and-bolts takes time, but will ensure that you can articulate areas of technical knowledge such as fiduciary responsibilities, vesting regulation and compliance, what the non-discrimination clauses in a given plan are, and solicitation rules and limitations. Additionally, make sure you develop an understanding of how plan providers offer guidance and education to their participants. This will allow you to focus on employers who leverage the kind of plan providers that do not currently offer education or well being solutions. When it comes to differentiating your offerings from wealth management, being able to understand and clearly articulate the intricacies of the dynamic retirement landscape will make a world of difference. Once you’ve honed your knowledge base, think about what your niche can be and how you want to define it. What do you bring to the table? Within a broad market comes a diverse range of retirement needs that can require specialized approaches. Make it your goal to work toward defining that niche. Tip: focus on a few specific companies so you can become knowledgeable about the types of employees that those companies host. With broad market opportunity comes the chance to set yourself apart by streamlining a well-articulated value proposition. Begin by evaluating what exactly that proposition is. Consider ways to develop relationships with employers through additive values. Being able to engage and educate participants through resources like seminars and brochures will help you potentially have contact with prospective clients, and can set your practice apart. Evaluate your means of assessment, and build in analytical tools that are tailored to both the employer and prospective clients’ needs. Being able to track client progress through a digital narrative, for instance, will give you the tools to know where and how you may want to intercede, offers the impetus to address topics that may otherwise be difficult to discuss, and can generally generate a more impactful advising experience. On an aggregate level, it also helps to solidify your value proposition. A holistic approach to retirement planning, one which incorporates these core questions and practices, addresses financial wellness not as a supplement, but as a foundational requirement for overall well being. Contact us at (844) 445-3617 or workplace@advizr.com to learn more about how Advizr WorkPlace is helping Advisors grow engagement and increase their value to plan sponsors while helping participants.